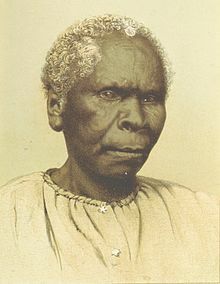 "Prior to her death, Truganini had pleaded to colonial authorities for a respectful burial and requested that her ashes be scattered in the D’Entrecasteaux Channel. She feared that her body would be dissected and analysed for scientific purposes. Despite her wishes, within two years, her skeleton was exhumed by the Royal Society of Tasmania and later placed on display." When I first read these little litanies of tragedy, I could feel my jaw tighten; my skin prickle and the vice of injustice tightening on my intestines. Last night, relating this story, and these facts, to a friend of mine over coffee and choc-dipped, love-heart shortbreads – tears filled my eyes. 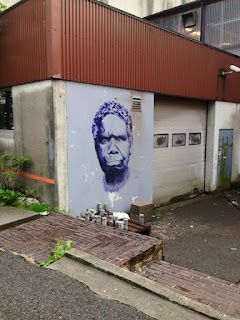 There are so many sadnesses around the life of Truganini, and yet, I remind myself there are things to be thankful for. There always are. I read on – Wikipedia, articles, chapters in history books – excavating for hope. I love that she was feisty – running with bushrangers in Victoria, only just avoiding the noose. I love that she saved the life George Robinson, the chief protector of aborigines in Victoria, ferrying him across a river on her shoulders, away from the jeers and spears of an unfriendly tribe. And with George Robinson she did what she could to save her people; reduced to little more than 300 souls across the entire island of Tasmania. I love that after all her travels and adventures, she returned to a traditional lifestyle in Oyster Cove, south-west of Hobart, diving for shellfish and hunting in the bush. I love that at the age of 54, when that famous photo was taken, she proudly wore her marina shell necklace strung together with kangaroo sinew. I love that the Palawa people, the modern aboriginal Tasmanians, reclaimed her body from the disrespect of museum display; cremating her just across the river from my childhood home; and spreading her ashes in the endless flow of the D’Entrecasteaux Channel.